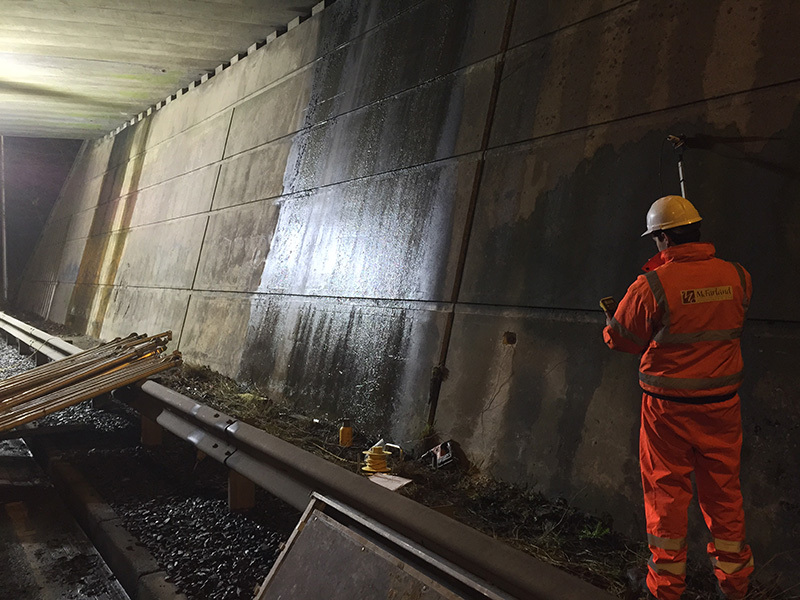 McFarland Associates Ltd specialise in the inspection, testing, assessment and implementation of innovative repair options for a wide range of structural assets within the Built Environment. This service helps our Clients determine the nature, cause, extent and significance of any identified deterioration or corrosion. 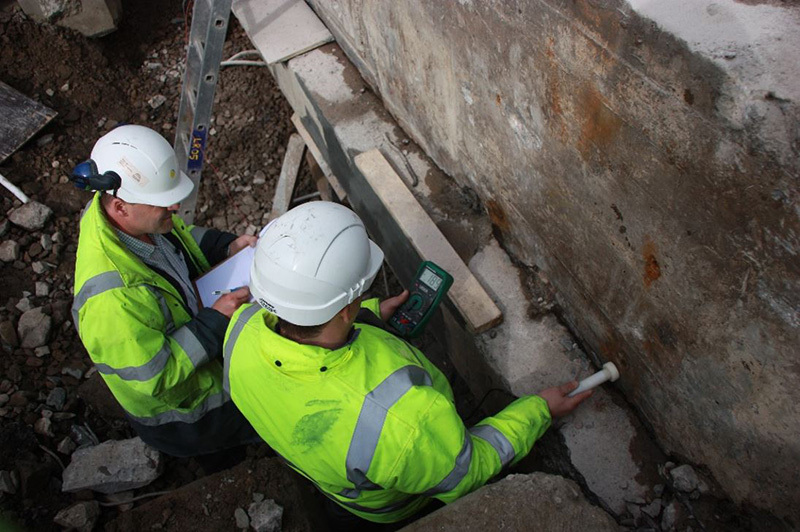 We specialise in structural surveys and the investigation of defects within structures and our knowledge and experience has gained us a reputation as one of the leading concrete consultancies in the United Kingdom and Ireland. We provide a personal and professional service to all our clients, with our specialist structural surveyor teams helping clients identify defects within their assets, by conducting comprehensive building surveys and surveys of structural assets such as bridges, tunnels, roads, underground reservoirs, power stations and jetties. Once our structural survey team identifies the cause of defects, they will provide a fully interpretive structural engineers report of their findings, and make recommendations that reflect client budgets and offer “state of the art” but cost effective repair solutions. At McFarland Associates Ltd, we strive to be at the forefront of modern testing techniques and are continually investing in new equipment, which enables us to provide our clients with the most accurate and up-to-date synopsis of defects within their assets. The purpose of carrying out asset inspections is to ensure the safety and long-term serviceability of assets. The first indications of serious deterioration within a structure can usually be identified through a visual inspection. In addition to identifying a defect, it is imperative that the cause and extent of deterioration and the likely consequence is understood before deciding on the type and scale of remedial action. At McFarland Associates Ltd, we have carried out numerous inspections of a wide variety of structures including buildings, bridges, tunnels, roads, underground reservoirs, power stations and jetties. Our inspectors provide practical advice to our Clients throughout the life cycle of their asset and recognition of this is reflected through our expanding repeat Client base. McFarland Associates Ltd utilise a wide range of traditional and innovative means to gain access to difficult to reach areas on structures. We have access to a range of fully qualified sub-contractors who provide elevated access using: scaffolding; mobile elevated work platforms (MEWPS); underbridge units; and cranes. McFarland Associates Ltd specialise in the non-destructive testing (NDT) of a wide range of structures. In addition to concrete and steel, we undertake testing to numerous other traditional and innovative construction materials. 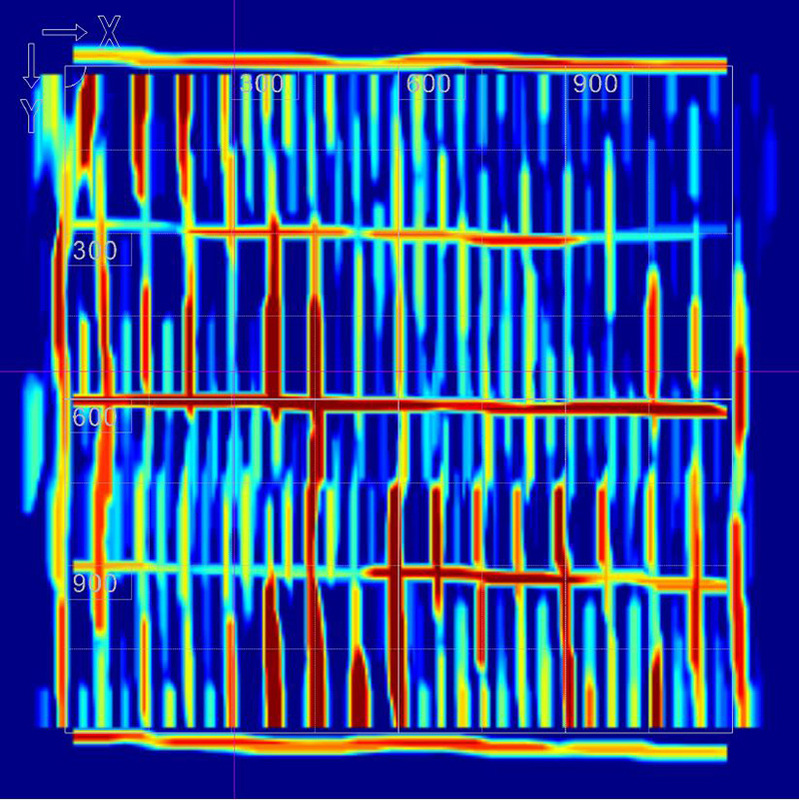 Further to this testing, we have the internal knowledge and capability to fully analyse test results and can provide our Clients with the root causes of defects as well as short-, medium- and long-term repair solutions. A wealth of other site tests and analytical procedures can be provided on request. Copyright © 2019 McFarland Associates LTD. Powered by WordPress. Theme: Spacious by ThemeGrill.